I am stoked to announce this new featurette that will come to theaters in November with Pixar’s COCO. It is called OLAF'S FROZEN ADVENTURE! 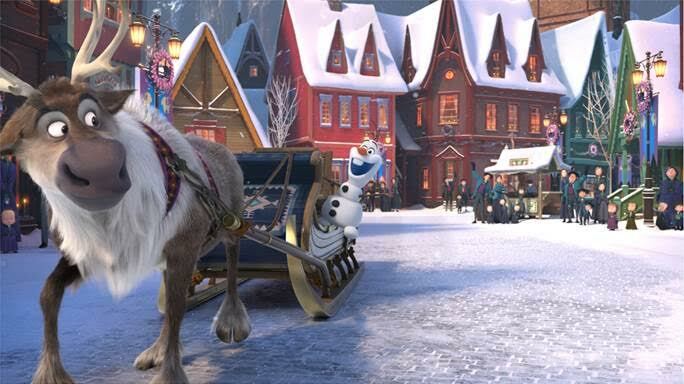 Featuring four new original songs, the 21-minute featurette welcomes the original cast and characters back to the big screen, including Olaf (voice of Josh Gad), who is on a mission to harness the best holiday traditions for Anna (voice of Kristen Bell), Elsa (voice of Idina Menzel) and Kristoff (voice of Jonathan Groff). Directed by Emmy®-winning filmmakers Kevin Deters and Stevie Wermers-Skelton (“Prep & Landing”), produced by Oscar® winner Roy Conli (“Big Hero 6”), with original songs by Elyssa Samsel and Kate Anderson (“Between the Lines”), OLAF’S FROZEN ADVENTURE will be in theaters for a limited time beginning Nov. 22. Check out the trailer below!